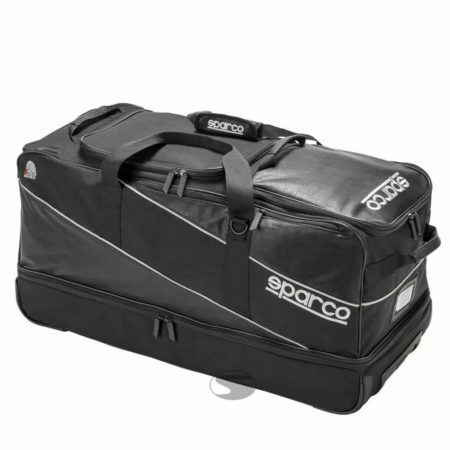 The Sparco Universe kit bag is the most spacious offering from Sparco. The kit bag is large enough to easily store your racing kit plus much more. 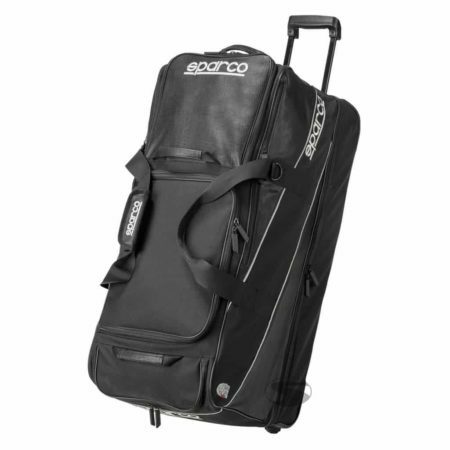 The Sparco Universe is made from a durable polyester with synthetic leather inserts for extra protection. The bag is easy to transport thanks to it’s wheels and retractable handle. Kit bag size: 40 x 81 x 35cm.